Wall Street is preparing for another round of layoffs. Big banks are unlikely to be broken up -- but they will keep getting smaller by getting rid of a large numbers of workers. Wall Street financial firms cut more than 75,000 people in 2011, and their employees are bracing for another round of layoffs. Analysts estimate that Wall Street banks will have roughly 10% to 15% fewer employees in early 2013 than they did at the start of 2012. "Firms believe that their costs are way too high," said Alan Johnson, CEO of compensation consulting firm Johnson Associates. "I tell my clients we're not in a recovery. We're in a struggle." With interest rates near all-time lows and growth slowing in the global economy, banks are having trouble finding new sources of revenue. That means the banks will probably once again look to pink slips to preserve their profits. "The problem is that as fast as these banks cut jobs, the revenue goes down even further," said Christopher Wheeler, a bank analyst at the research firm Mediobanco. Wheeler said that an executive at Goldman Sachs (GS) told him that the bank had thought it slashed compensation expenses appropriately in the first quarter of this year. However, once the drop in second quarter revenues became apparent, Goldman Sachs was also forced to rethink its staffing levels. A spokesperson for the bank declined to comment on potential layoffs. But Goldman has already cut back on its staff in the past year and a half. The firm's headcount of 32,300 employees at the end of June was down roughly 10% from the end of 2010. More layoffs are likely looming at nearly every major bank. "Every firm is in the middle of rightsizing themselves," said Michael Karp, head of the financial services practice at Options Group, a recruiting and strategy firm. "They see their business isn't profitable already, and the future doesn't look so bright." European banks have been particularly aggressive with layoffs. In July, Deutsche Bank (DB) said it plan to reduce expenses by $3 billion and will cut 1900 people from its staff of nearly 32,000. Both UBS (UBS) and Credit Suisse (CS) announced 3500 job cuts late last year. That may just be the beginning. On Credit Suisse's second quarter conference call, the bank's executives said they plan to cut another $1 billion in cost cuts. Much of that savings is expected to come from further staff reductions. A Credit Suisse spokesperson declined to comment further. about the possibility of more layoffs. Bank of America is in the middle of 30,000 jobs cuts that it announced last September. A spokesperson for Bank of America (BAC) declined to say how many of those cuts had already been made or whether the bank would announce more. Citigroup (C) said last December that it would lay off 5,000 workers. In response to recent reports that Citigroup planned to cut 350 more employees from its investment banking division, a Citi spokesperson said the bank is continuing to "make targeted headcount reductions in certain businesses as part of our ongoing efforts to control expenses in light of current market conditions." Morgan Stanley (MS) is in the middle of cutting roughly 4,000 jobs, or 7% of its staff. Those plans were disclosed late last year,. A Morgan Stanley spokesperson said the bank has not announced any additional cuts. JPMorgan Chase (JPM) is the rare firm that's actually added to its headcount in the past few years. As of the end of 2012, it had roughly 260,000 employees. That's up from 195,000 at the end of 2008. The growth is largely from acquisitions though. JPMorgan acquired investment bank Bear Stearns and failed savings and loan Washington Mutual in 2008. A JPMorgan spokesperson declined to comment on whether it was now considering layoffs in the wake of its second-quarter trading loss. Some big banks have started quietly informing high level staffers that they won't have jobs by year end, according to several sources with knowledge of the banks' activities. "Every third person I know on the Street has either been informed that they'll be cut or is worried about losing their job this year," said Josh Siegel, a former bond trader and now a managing partner at the investment firm StoneCastle Partners. "Everyone I know on the Street is watching their division get squeezed." The continued downsizing of Wall Street is an acknowledgment that record earnings are unlikely to return for the foreseeable future. Analysts at research firm SNL Financial noted in a recent report that a key source of profits in the second quarter of 2012 came from releasing reserves that had been kept to protect against losses from troubled loans. SNL's analysts said the banks won't be able to do that for much longer. 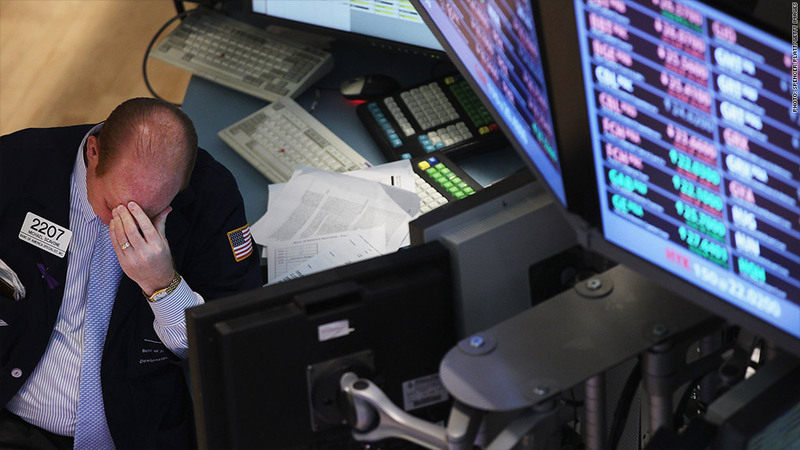 Bond trading divisions are expected to be one of the biggest targets for job cuts. And despite Wall Street's increasing reliance on technology, banks may reduce staff levels in their IT departments too. Still, cuts will not be confined to any division, geography or pay grade. "Banks are really looking desk by desk at this point," said Johnson.